These 5 simple tips to cleanse and detox your body should be performed daily. They will make you feel healthier, more relaxed, and full of energy! Do you ever feel sluggish, bloated, or in a fog? If so, it’s possible that it’s time for a detox! A detox is about resting, cleansing, and nourishing the body. Detoxing removes toxins and focuses on feeding your body with vital nutrients that can significantly improve your health. Some of these tips to cleanse and detox your body may already be familiar to you, while others may be completely new! Now, detoxing doesn’t magically make you lose weight, however. It requires you to make healthier choices that will lead to weight loss. You should start by eliminating alcohol, caffeine, cigarettes, refined sugars, and saturated fats from your diet. These are all things that create toxins and add to that sluggish, bloated feeling. Begin incorporating more fiber into your diet, like brown rice and organically grown fruits & veggies (specifically raspberries and broccoli). Eating fiber will regulate your digestive system, helping you feel lighter and healthier. There are certain herbs that can be beneficial to cleansing the liver, as well. Dandelion root stimulates bile production in the liver, which will help flush out your system. Green Tea and Vitamin C are also great, yet simple, detox tools. Try our 3-Day Cleanse and Detox. It includes Breakfast, Lunch, and Dinner, as well as 2 daily snacks and a night time tea! Drinking water will help you keep the weight off in a couple ways. First, being dehydrated actually causes you to retain water. By drinking at least eight, 8 oz. glasses of water each day, you will stay hydrated and avoid water retention. Secondly, as you lose weight, your body will naturally have more toxins to dispose of. Drinking water routinely throughout the day will keep your organs functioning optimally and your body free of toxins. You can also add lemon to your water. This will not only make it taste good, but the lemon juice supports kidney and liver function. Lemon juice is packed full of vitamins and minerals, which are vital to a healthy body and mind. This is perhaps one of the most unique tips to cleanse and detox your body. Have you ever heard of dry-brushing or hydrotherapy? Dry-brushing is a gentle exfoliating technique that is not only cleansing to the skin, but also increases lymphatic flow. Your lymphatic system is primarily responsible for the removal of excess fluids from the body, fat absorption and the production of immune cells. Dry-brushing before a shower will help to circulate toxins out of the body. Get your Dry-Brush today to experience this amazing cleansing treatment! That brings us to hydrotherapy. This is a form of treatment that uses varying water temperatures to increase circulation, encourage smooth muscle contraction and promote sweating. Hydrotherapy also works to detoxify the organs, including the skin, kidneys, liver, colon, and lymphatic system. After dry-brushing, get into the shower and turn the water to a hot, yet reasonable temperature. You’ll want to stand under the hot water for 1-3 minutes, and then turn it back to cold. This may be difficult to withstand at first, so you can use a lukewarm temperature, but the cold water may be welcomed once you’ve been under the hot water for a while. Keep the water cold for 30 seconds before turning it back to hot. Repeat this cycle 3 to 5 times. Dry-brushing and hydrotherapy are not just about removing physical toxins, but mental and emotional ones, as well. You will come out of the shower feeling relaxed and re-energized. Your kidneys and liver are mainly responsible for detoxifying your body, however, sometimes the load is just too much. When these organs can’t keep up, excess toxins are stored in excess body fat. Sweating is your body’s way of cooling itself, but also another pathway for toxins to exit your body. Performing cardiovascular exercise of any kind will help, but the more that you sweat, the better! No one has ever felt worse after a good sweat session! Sweating is no doubt a key component to any detox or cleanse, but it doesn’t all have to come from exercise. If your gym has a sauna, spend a few minutes in there to get a little extra sweat out! 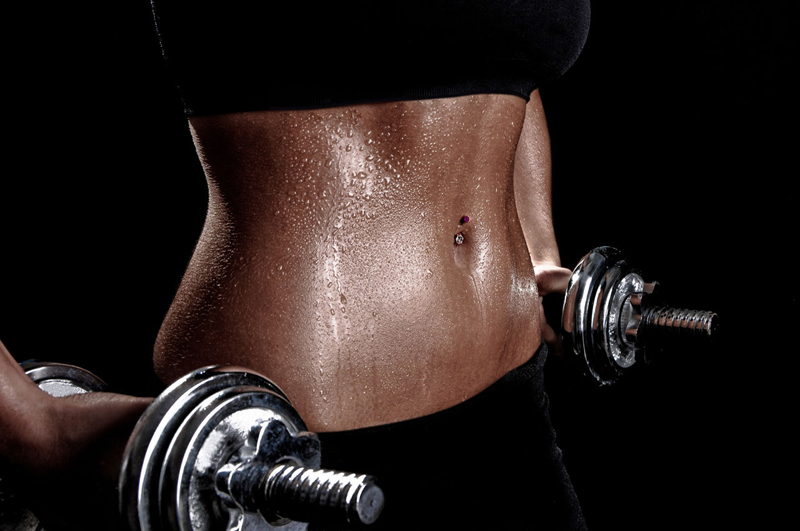 Try these awesome, sweat-inducing workout routines! Certain yoga poses will not only improve your mental health, but can actually stimulate your circulatory, digestive, and lymphatic systems, as well. High-Intensity exercise is great for breaking a sweat, but a daily yoga routine is just as important. These 7 Detoxifying Yoga Poses can help cleanse your body. Yoga is a proven stress-reliever. When we’re stressed, our body produces high levels of a hormone called cortisol. Cortisol has been found to sometimes lead to fatty-liver disease. If we want our liver to function optimally, we must keep it healthy, right? Practice yoga, reduce stress, and keep your liver happy! This hormone also causes us to hold on to belly-fat. 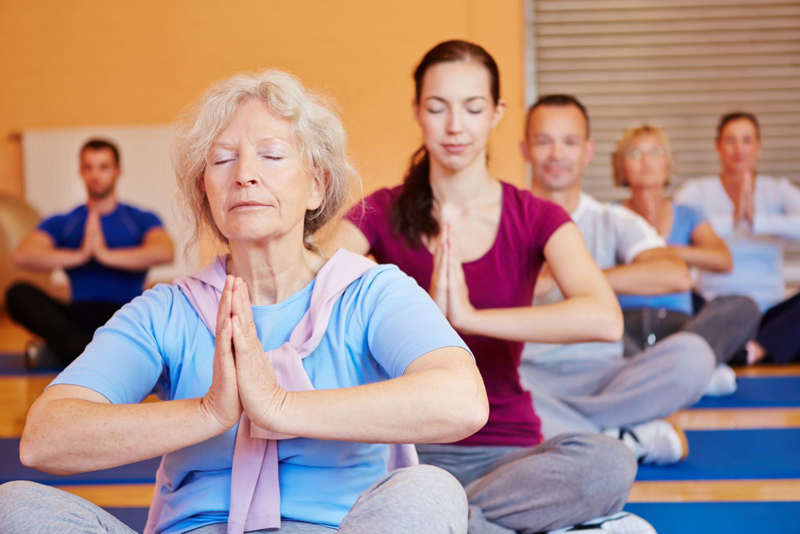 Relieving stress through yoga can benefit your waistline, as well. Try the 15 Yoga Poses to Zen Out Your Body. If you’re tired of feeling tired, try these 5 tips to cleanse and detox your body, today! 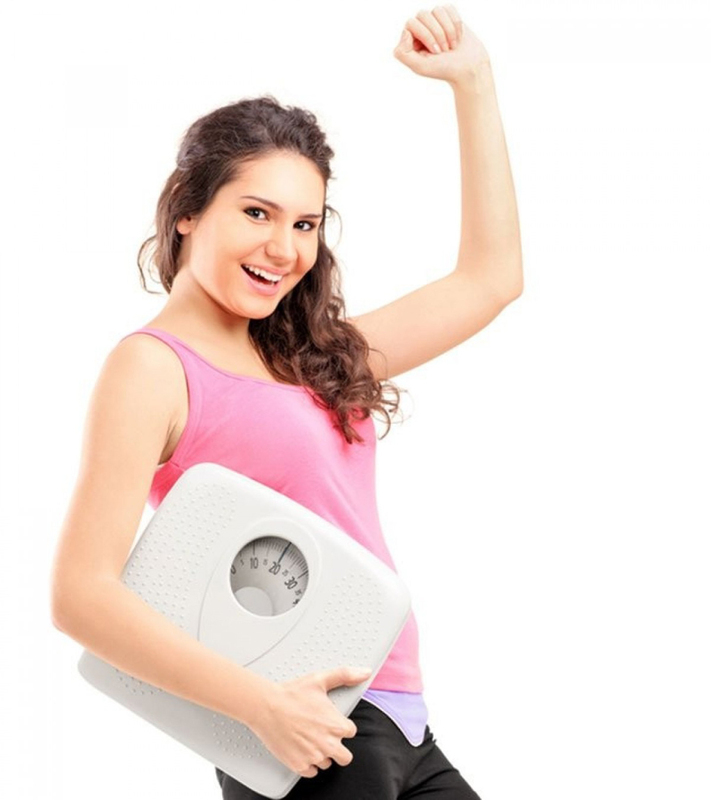 You’ll feel healthier, more relaxed, full of energy, and will even lose weight! Your body is an incredible, self-sustaining machine. With that being said, practicing these healthy habits daily will help your body perform these functions more easily.